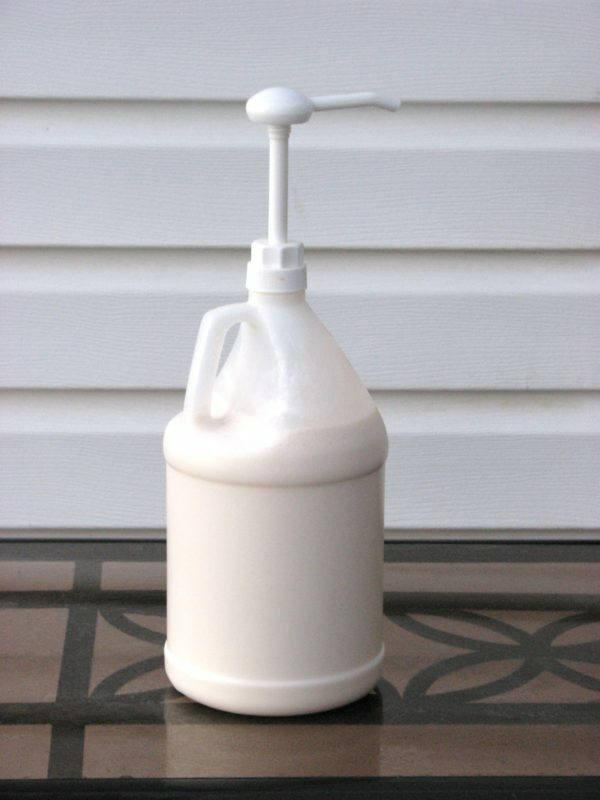 Lotion by the gallon that you can scent and bottle as you like. This product is safe and has undergone microbiology testing. If you sell soap or have a store this is a great way to add a new product easily with your own label. Scent and rebottle this product as you like for resale in your store or craft booth. This is a thick lotion that contains Natural and Ecocert emulsifiers, natural vegetable oils and calendula flower extract. Ingredients: Aqua (water), Theobroma Cacao (Cocoa) Seed Butter, Glyceryl Stearate, Cetearyl Alcohol, Sodium Stearoyl Lactylate, Oryza Sativa (Rice) Bran Oil, Caprylic/Capric Triglyceride, Glycerin, Olea Europaea (Olive) Oil, Calendula Officinalis Flower Extract, Phenoxyethanol, Capryl Glycol, Tocopherol. Available with or without a pump ($6.00) for dispensing. One gallon jug is $60.00, one half gallon jug is $34.00. Shipping charges will be added/adjusted as necessary. Order a 2 oz sample for $5.00 plus shipping.